The Epson CX 3650 is capable of producing great quality printouts. In the long run your Epson CX3650 will run out of printer ink, and when it finally does happen you'll quickly learn that ordering Epson CX3650 ink is normally quite pricey. However, you don't need to fret about shelling out the high costs you'll find on the high street because right here at Cartridge Save you can purchase all the Epson CX 3650 cartridges you'll ever need at super competitive prices. Spend less cash on your ink by purchasing online at Cartridge Save! Why pay high prices for the CX-3650 original cartridge or CX3650 compatible ink down the main street when you can quickly save a load of money buying online with Cartridge Save. You get full peace of mind when you order your Stylus CX3650 ink cartridges from us because they are protected by a hassle-free money back guarantee. Be mindful of the fact that each and every purchase also has free delivery, generally arriving at your doorstep the very next business day! Printing, copying, and scanning is easy with the compact Epson Stylus CX3650 inkjet printer. This affordable multifunction printer boasts cheap running costs, thanks to its 4-ink cartridge system. The Epson Stylus CX3650 all-in-one uses inkjet technology and offers USB connectivity for Apple and PC computers. It also features a standalone copier. However, the Epson CX3650 only works on older operating systems and its print quality has already been surpassed by newer printer models. The Epson Stylus CX3650 multifunction printer has a flatbed scanner on top of its inkjet printer. A control panel that is easy to use is located beside the scanner cover. For paper handling, the vertical paper tray can hold up to 100 sheets at a time. Print speeds can go as fast as 13 ppm for both monochrome and coloured prints. The Epson Stylus CX3650 printer has dimensions of 16.9 x 13.5 x 6.7 inches, making it easy to store in small spaces. The compact Stylus CX3650 multifunction printer does not take up much space on the desk. Its copier can be used even without turning on a computer. Though the Epson Stylus CX-3650 is cheap, it delivers good quality prints, scans, and copies – the CX3650 even offers borderless printing for photos and other prints and copies. The Epson Stylus CX3650 inkjet all-in-one printer does not work on new operating systems. 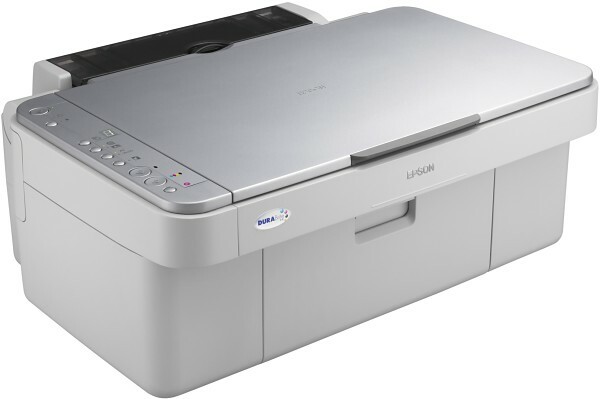 The Epson CX3650 colour printer only offers USB connectivity and does not support Ethernet or Wi-Fi.